AMMONNEWS - The government on Sunday said Prime Minister, Omar Razzaz has given his instructions to cancel a circular issued by the Ministry of Awqaf and Islamic Affairs concerning the use of loudspeakers on minarets of mosques. 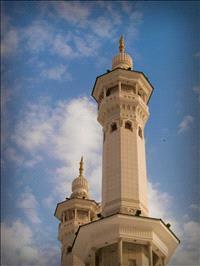 Earlier, the Awqaf ministry have issued a circular to ban the use of loudspeakers on minarets of mosques. The government added that immediately after prime minister learned about the circular he called for canceling its as he was unaware of its content.